Thirty-nine health policy experts and representatives of a broad cross-section of organizations joined in signing a comment letter to the Centers for Medicare and Medicaid Services regarding its proposed rule on Short-Term, Limited-Duration Insurance. 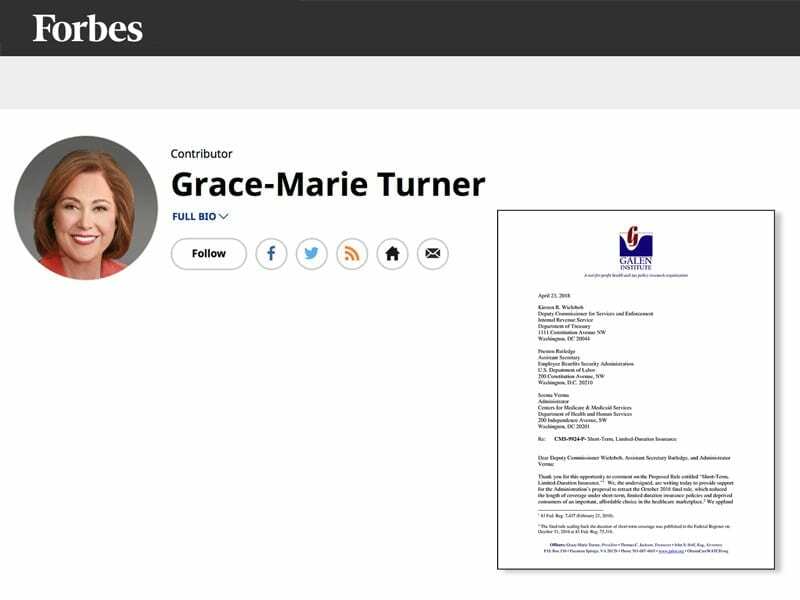 “We hope this will convince CMS to amend its proposed rule to allow, among other things, renewability of short-term policies,” said Grace-Marie Turner, president of the Galen Institute, who helped organize the letter. “We explain the policies are needed ‘for a variety of reasons—including a gap in other coverage that lasts longer than anticipated or simply a desire to obtain and retain coverage [people] can afford, rather than become uninsured,’” she said. 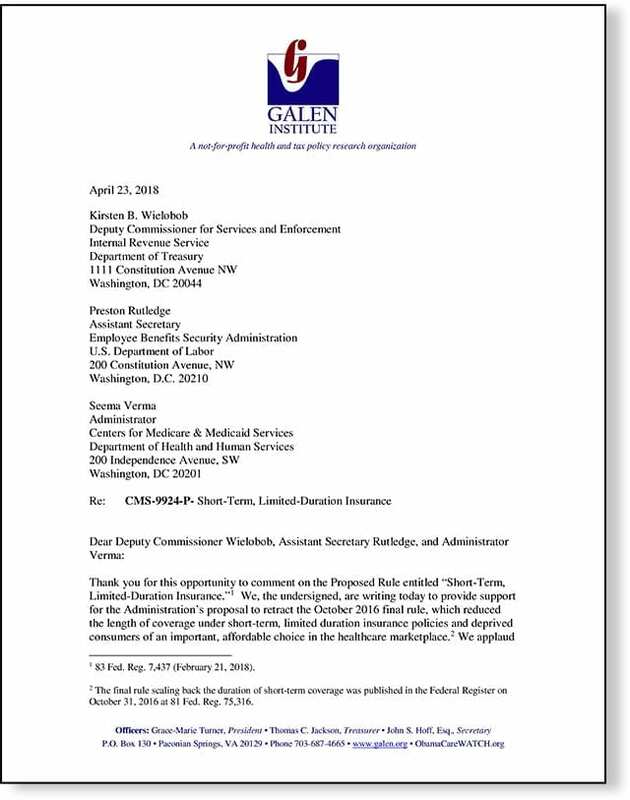 The letter argues that the Departments of Labor, Health and Human Services, and the IRS under the Obama administration inappropriately limited sale of these policies to 90 days in an “effort to federally regulate a product that the statute exempts from federal regulation.” They called the action a “search and destroy” mission against any policies that may compete with expensive PPACA-compliant plans. “Short-term, limited duration coverage is one important option that can give a lifeline to some individuals and families looking for either an affordable option amidst rising insurance premiums in the individual marketplace or stop-gap in periods of coverage loss or financial distress,” the group argues. Permit health insurers to offer short-term policies with renewability waivers. Doug Badger is a senior fellow at the Galen Institute. He previously served as a senior adviser in the U.S. Senate and White House.